VINTAGE CHAINSAW COLLECTION: CHAINSAW HISTORY BY BRAND. A.C.LAMB......AMBROSE C LAMB 1876-1948 MARRIED LULU LAMB created the company with assistance of their 2 sons, they were mainly involved in boating and marina services. 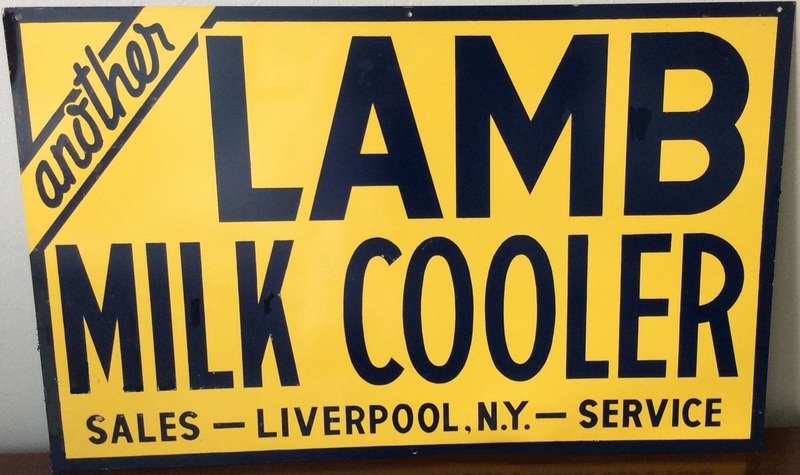 A C Lamb & Sons sold and serviced milk coolers all over upstate N.Y. in the 30's and 40's.. Sometimes being paid in onions and potatoes. testimonies and pictures from Fred Fauler. When A.C.Lamb deceased, their 2 sons CLIFFORD 1904-1983 AND ROBERT M.1910-1981....took over in 1948 till 1982. After 1982 FRED FAULER one of the employee managed the company and was the third owner till closure in 2006 (315-436-7423) A.C Lamb was the family name for the original warehouse, they were one of the largest distributors for IEL,Titan, Mercury Disston chainsaws... At some point they began to produce their own brand of Lamb chainsaws. 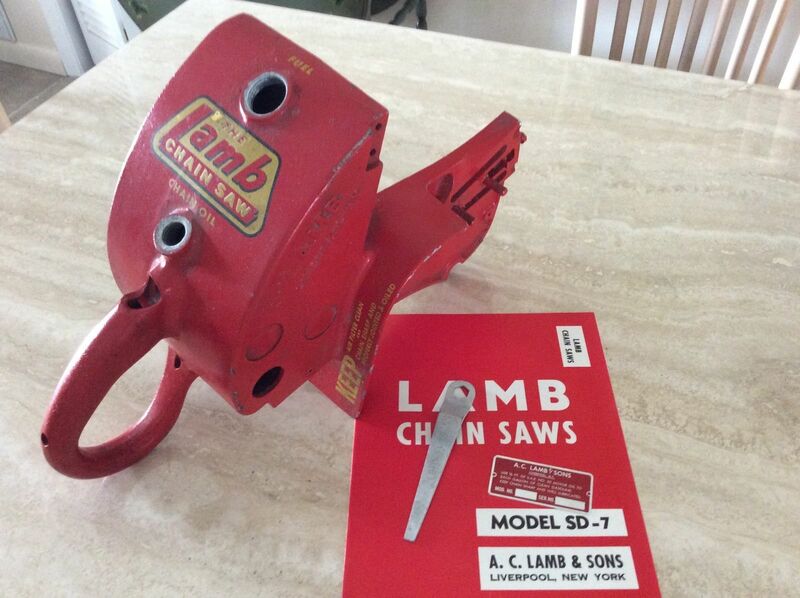 They used a local Liverpool foundry to make the castings and added the Chrysler-West-Bend engine and assembled complete saws, labeled as A.C.Lamb. 6 models were in production till late 60's. The Lamb's were responsible for production of maple syrup lines, sales related to outboards, pumps, snow machines, and others. They had a marina to aid in customer familiarization with their outboard purchases. These folks were truly captains of industry in their day. The Titan Blue Streak hung from the ceiling of the original warehouse in Liverpool New York and was viewed by many customers, a well recognized part of local history. After 1982 FRED FAULER one of the employee took over the company and was the second owner till closure in 2006 (315-436-7423) Name History....1972 - A. C. LAMB & SONS, INC........NYS Filing Date OCTOBER 02, 1972...........NYS Entity Status ..............INACTIVE - Dissolution (Apr 16, 2007). 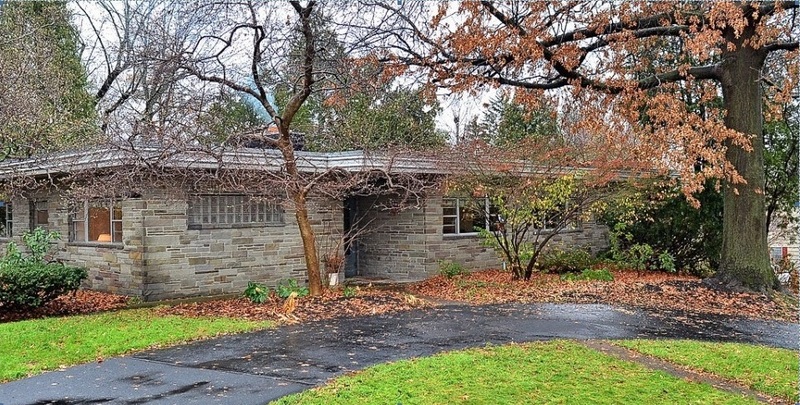 The family house was built by designer Willard Smith for Clifford and Adeline Lamb in 1949. Clifford and his brother Robert ran A.C. Lamb and Sons on Vine Street in Liverpool, NY. A.C. Lamb and Son's was a recreational boat business that evolved from a farm supply business and sugar maple sap supplier in north america, that started by their father Ambrose around 1918. A.C. Lamb and Sons is still operating on Vine street, now under new management having operated for nearly 90 years. 23 Sunset Terrace, Baldwinsville. It was designed and built in 1949 for Clifford and Adeline Lamb by a local Wright devotee named Willard Smith. The Lambs insisted on the highest quality construction materials for their homage to Wright, including stone specially quarried for them in Ithaca. Robert Lamb Robert M Lamb (1910 - 1997) was born on April 19, 1910. He was born into the Lamb family. He died on April 29, 1997 at 87 years old. Robert M Lamb's last known residence is at Bernhards Bay, Oswego County, New York. 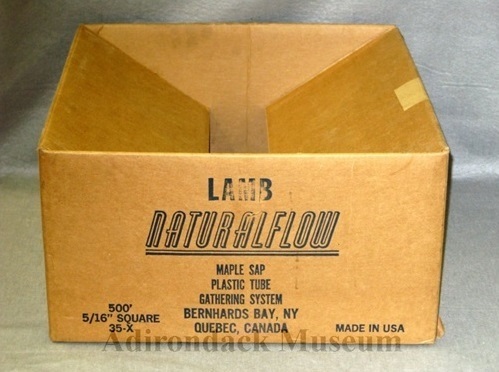 Maker Syracuse, NY; Empire State Container Corp.
Used Bernhards Bay, NY; Lamb, Robert M.
top flaps folded in; light brown in color; printed on one side in blue ink: ”LAMB/ NATURALFLOW/ MAPLE SAP/ PLASTIC TUBE/ GATHERING SYSTEM/ BERNHARDS BAY, NY/ QUEBEC, CANADA 500’/ 5/16” SQUARE/ 35-X MADE IN USA”; same thing is printed on the other side of the box in blue ink in French; sides and bottom of box are sealed with light brown tape; printed in black ink on bottom of box: ”SQUARE”; box certificate printed inside a circle in black ink on bottom of box. 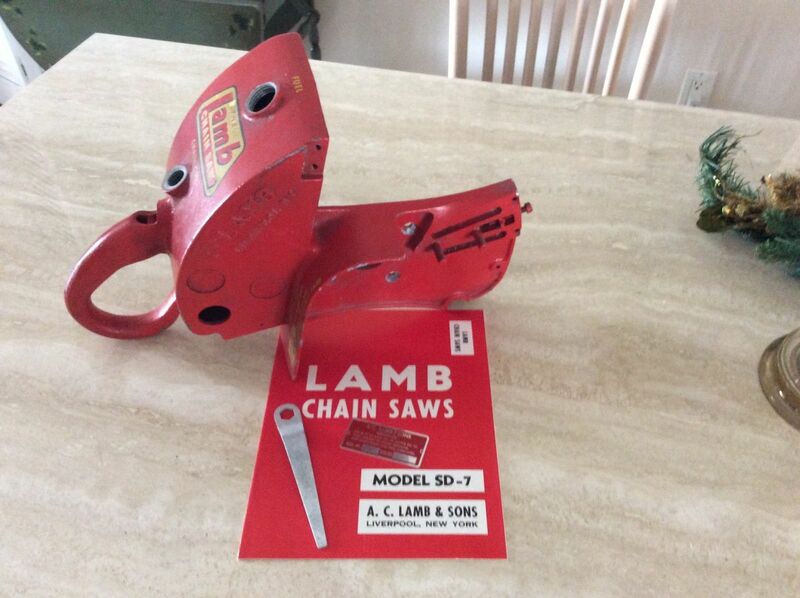 Lamb chain saw model SD-7 new casting. 1950's --early 60's. After leaving the machine shop and paint booth, the decals are applied and then it is ready to go to the assembly line where the West Bend engine was installed. Both the casting and engine became obsolete when the more powerful Model H Lamb saw came to market replacing all previous models. The story of Arthur W. Mall, president of the Mall Tool is a story of a six-year old boy who was selling newspapers on the corner watching with perhaps wistful eyes, his playmates with nothing on their minds but the fun they were having. Surely there were times when Arthur Mall wanted to put down his newspapers and run and play with them. But even at that tender age he realized his responsibility and stayed with the job. The story of Arthur W. Mall is a story of a youth who worked at odd jobs during his high school days. His friends were playing football and tennis and enjoying themselves, but Arthur Mall, with grim determination to fulfill the responsibility that lay on his shoulders worked after school hours before retiring. After his graduation from high school he didn’t join many of his friends who were going to colleges all over the country. College cost a lot of money, and Arthur Mall didn’t have it, so he went to the serious task of making a living. The story of Arthur Mall is the truly inspiring story of a man with an idea, a little capital, practically no outside assistance, and a lot of ambition and desire to make his idea a reality. His determination and sincere effort made his dream come true and today he ranks in the upper bracket of the portable power tool industry. Arthur W. Mall is a soft-spoken, calm man who is truly gracious and kind, however, one feels the presence of a strong-willed man, a man with strength and faith. You look at his trade-mark, “MALL POWER TOOLS” and you think of just the two words: “MALL POWER” and you know that is what has brought him to a strong position. Arthur Mall was born on August 15, 1895 in Hammond, Indiana. When he was two years old the family moved to the south east side of Chicago where he has lived all of his life. At the age of six years he sold newspapers on the streets of south Chicago until the time he entered high school. Besides his studies in high school he found the time and ambition to work at part time jobs after school. Upon graduation from high school he went to work. Arthur Mall didn’t have the opportunity to go to college, but in the course of his life, he found the time to study and acquire the knowledge he knew he both desired and needed. He attended Steven’s Institute in Hoboken, Armour Institute in Chicago and passed the severe examination for Officer Candidate School in the United States Navy. He has the equivalent of a college degree in Mechanical Engineering. In 1916 Arthur Mall answered this country’s call and entered the United States Navy. He served as an officer of the Navy until 1918 when he was discharged as an Ensign. Arthur W. Mall started the Mall Tool Company on January 1, 1921, in Milwaukee, Wisc., with a capital of less than $200.00. One year later the company was moved to the south side of Chicago where it stands today. The first product of the Mall Tool Company was a pneumatic sanding and polishing wheel which requires a portable power tool to revolve, and thus the Mall Tool Company started to make various kinds of portable power tools, the product which they now make and for which they are known throughout the world. From the first product they went to making gas engines, then to electric and then to gas self-contained engines and then to pneumatic power tools of all types. But they also made a "MallSaw Radial Saw Arm", which converted a handheld circular saw to a small radial arm saw. 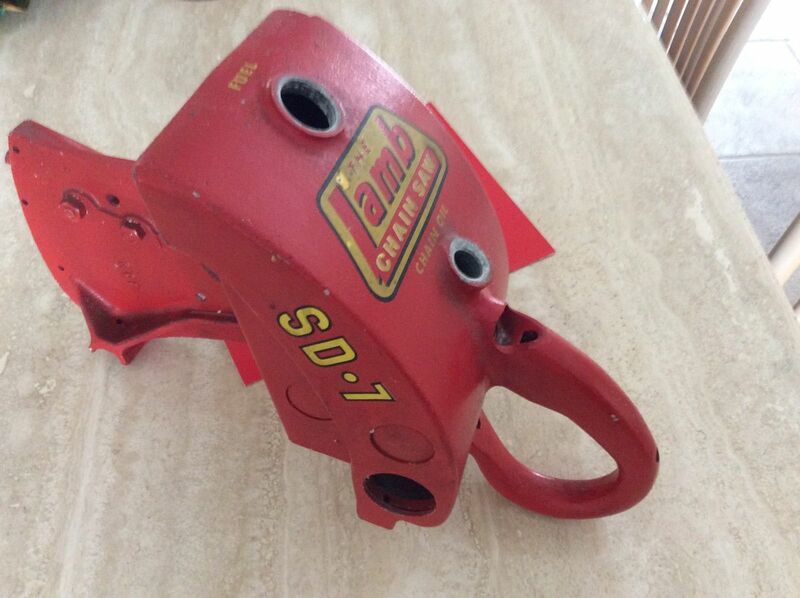 "Mall Tool Co. was founded in the 1920s and specialized in gasoline and electrically powered hand tools. The first product of the Mall Tool Company was a pneumatic sanding and polishing wheel which requires a portable power tool to revolve, and thus the Mall Tool Company started to make various kinds of portable power tools, the product which they now make and for which they are known throughout the world. From the first product they went to making gas engines, then to electric and then to gas self-contained engines and then to pneumatic power tools of all types. But they also made a "MallSaw Radial Saw Arm", which converted a handheld circular saw to a small radial arm saw. The Mall Tool Company employed over 2,000 people, with forty branch warehouse stores on their own property in cities in the U.S. and Canada. The Mall Power Tool product were sold and used throughout the world. The factory and home offices in the South Chicago area cover an area of ten acres. The story of Arthur W. Mall is truly an inspiring one. A man has an idea, a dream, and a practically no help, indeed with the odds against him, he realized the fulfillment of the dream. The story of Arthur Mall is the story of a man with the courage and faith to make of his life, with its humble beginnings, a great and noble success. He has and is doing much to honor the name of Mall. The following story concerning Arthur W. Mall by Betty Jane Merrill was taken from the Chicago Daily Tribune of Dec. 11, 1952: “There are 2,000 acres of farmland in Monee Township, Will county, which have been turned (unexpectedly) into an experiment that may mean the birth of a new community in Chicago’s south suburban area. The land, located 30 miles south of Chicago’s Loop, surrounds the Mall Tool Company’s newest plant at 25000 S. Western Ave., Crete. “The Mall company began to purchase the acreage during World War II and completed the project thru 50 real estate transactions. The land was placed in trust for company employees who were called into service. “Arthur W. Mall, president, had intended the land to be divided among the 50 men and women who he hoped would become homesteaders. However, after the war the employees elected to take their shares of the gift in cash settlements. The trust was dissolved. The company took over the land and turned it into ten experimental farms which now produce grain, cattle, and swine, and serve as the proving ground for Mall power tools. “The farmers are hired by Mall to cultivate the land and raise the animals, which include pure bred registered Hampshire hogs, registered dairy cattle, and prize winning beef cattle. An average of 1,000 gallons of milk is sold daily to Chicago area dairies. During their daily routines the farmers test the power tools, such as hand saws and small carpentry implements. The entire operation is under direction of H.P. Seltenright, farm manger. “The acreage includes 800 acres of woods and pasture land, dotted with small lakes. In this area Mall has built an airport and hangar for his three private planes, and an adjoining picnic grove which accommodates 3,000 at a time, The recreation area, which is used by the employees includes a dance platform, modern restrooms, outdoor grills, water fountains, children’s playground, target range, and refrigeration units and serving kitchen in the airplane hangar. “Thru the woods, Mall has built four miles of gravel roads, More than 40,000 evergreen trees have been planted in a carefully planned landscaping scheme. At least 60,000 more trees, including walnut, butternut, chestnut, blue spruce, and Douglas fir, will be planted within the next few years. “With his employees in mind, Mall is building big plans for the future. He expects to stock the woods with game and the lakes with fish to provide sporting opportunities for those on his payroll. “The Plan also includes building a hunting lodge and the development of an arboretum. Eventually the area may be opened to the public. “Mall, a gentle, jovial man who seems happiest when he is tramping thru the woods or looking over herds of fine cattle, was born in Hammond, Ind., and learned farm life first hand in Rolfe, Ia. He started to manufacture power tools in a small wooden building in Milwaukee in 1921, turning out the implements himself with only a small circle of workers.” They were acquired by Remington Arms Corp. in 1956, and renamed the Remington Power Tool Division. 1969, some entrepreneurs purchased the Power Tool Division and named the company DESA Industries. They were acquired by AMCA (Master Consolidated) in 1975." DESA was formed in 1969 by Robert H. Elman, three other individuals, and a Venture Capital Group for the purpose of acquiring the Remington Arms' chainsaw and powdered actuated tool business located in Chicago, Illinois. In 1975, AMCA International, LTD. acquired DESA. AMCA acquired the Koehring Corporation in 1981, which included a Portable Outdoor Kerosene Forced Air Heater Operation located in Bowling Green, Kentucky. In 1982, DESA's electric chainsaw and powder actuated tool line was moved from Chicago to Bowling Green, Kentucky and merged with the Forced Air Heater business forming the Consumer Products Division. The division entered into the indoor room heating market in 1982 with the importation of Infrared Plaque Heaters from England for the liquid propane distributor and natural gas utility channels of distribution. To expand in the outdoor market, the company introduced Portable Outdoor Propane Forced Air Heaters in 1983.In 1985, a management group led by Mr. Elman purchased the assets and business activities of AMCA's Consumer Products Division with AMCA. In 1989, DESA Company made its first product line acquisition by purchasing the assets of the Swingline Hardware Products segment of American Brands. The Swingline Products acquisition included Manual and Electric staples/nail guns, Rivet Tools, Glue Guns, and Accessories. 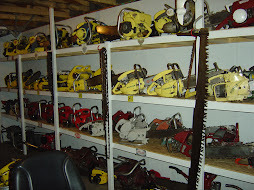 A facility in Manchester, Tennessee was established in 1989 for the production and distribution of Electric Chainsaws, Powder Actuated Tools, and Swingline Products.The next acquisition occurred in 1990 when DESA purchased Jennen B.V., a Dutch Distributor located in Rotterdam, Holland, (subsequently renamed DESA Europe B.V.). This gave the company a base of operation in central Europe. Two additional product line acquisitions were completed in 1991. The company acquired the Vented Heater Product Line from Suburban Manufacturing Company in Dayton, Tennessee in order to offer its customers a complete line of vent-free and vented indoor room heaters. Generators were added to the Specialty Tool product line with the purchase of assets from Pincor Power Corporation. DESA entered the Hearth Products market in 1992 with the introduction of realistic heater efficient vent-free gas logs with operate with the fireplace damper closed. The 1998 purchase of Heath/Zenith, solidified DESA’s position in the specialty electrical market.Arthur Mall was born on August 15, 1895 in Hammond, Indiana. When he was two years old the family moved to the south east side of Chicago where he has lived all of his life. At the age of six years he sold newspapers on the streets of south Chicago until the time he entered high school. Besides his studies in high school he found the time and ambition to work at part time jobs after school. Upon graduation from high school he went to work. Arthur Mall didn’t have the opportunity to go to college, but in the course of his life, he found the time to study and acquire the knowledge he knew he both desired and needed. He attended Steven’s Institute in Hoboken, Armour Institute in Chicago and passed the severe examination for Officer Candidate School in the United States Navy. He has the equivalent of a college degree in Mechanical Engineering. In 1916 Arthur Mall answered this country’s call and entered the United States Navy. He served as an officer of the Navy until 1918 when he was discharged as an Ensign. Arthur W. Mall started the Mall Tool Company on January 1, 1921, in Milwaukee, Wisc., with a capital of less than $200.00. One year later the company was moved to the south side of Chicago where it stands today. The first product of the Mall Tool Company was a pneumatic sanding and polishing wheel which requires a portable power tool to revolve, and thus the Mall Tool Company started to make various kinds of portable power tools, the product which they now make and for which they are known throughout the world. From the first product they went to making gas engines, then to electric and then to gas self-contained engines and then to pneumatic power tools of all types. But they also made a "MallSaw Radial Saw Arm", which converted a handheld circular saw to a small radial arm saw. 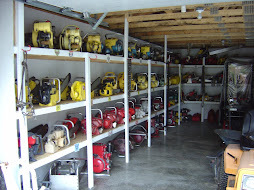 "Mall Tool Co. was founded in the 1920s and specialized in gasoline and electrically powered hand tools. The first product of the Mall Tool Company was a pneumatic sanding and polishing wheel which requires a portable power tool to revolve, and thus the Mall Tool Company started to make various kinds of portable power tools, the product which they now make and for which they are known throughout the world. From the first product they went to making gas engines, then to electric and then to gas self-contained engines and then to pneumatic power tools of all types. But they also made a "MallSaw Radial Saw Arm", which converted a handheld circular saw to a small radial arm saw. The Mall Tool Company employed over 2,000 people, with forty branch warehouse stores on their own property in cities in the U.S. and Canada. 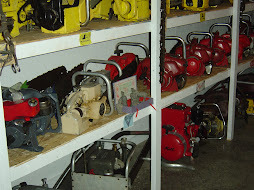 The Mall Power Tool product were sold and used throughout the world. The factory and home offices in the South Chicago area cover an area of ten acres. The story of Arthur W. Mall is truly an inspiring one. A man has an idea, a dream, and a practically no help, indeed with the odds against him, he realized the fulfillment of the dream. The story of Arthur Mall is the story of a man with the courage and faith to make of his life, with its humble beginnings, a great and noble success. He has and is doing much to honor the name of Mall. The following story concerning Arthur W. Mall by Betty Jane Merrill was taken from the Chicago Daily Tribune of Dec. 11, 1952: “There are 2,000 acres of farmland in Monee Township, Will county, which have been turned (unexpectedly) into an experiment that may mean the birth of a new community in Chicago’s south suburban area. The land, located 30 miles south of Chicago’s Loop, surrounds the Mall Tool Company’s newest plant at 25000 S. Western Ave., Crete. “The Mall company began to purchase the acreage during World War II and completed the project thru 50 real estate transactions. The land was placed in trust for company employees who were called into service. “Arthur W. Mall, president, had intended the land to be divided among the 50 men and women who he hoped would become homesteaders. However, after the war the employees elected to take their shares of the gift in cash settlements. The trust was dissolved. The company took over the land and turned it into ten experimental farms which now produce grain, cattle, and swine, and serve as the proving ground for Mall power tools. “The farmers are hired by Mall to cultivate the land and raise the animals, which include pure bred registered Hampshire hogs, registered dairy cattle, and prize winning beef cattle. An average of 1,000 gallons of milk is sold daily to Chicago area dairies. During their daily routines the farmers test the power tools, such as hand saws and small carpentry implements. The entire operation is under direction of H.P. Seltenright, farm manger. “The acreage includes 800 acres of woods and pasture land, dotted with small lakes. In this area Mall has built an airport and hangar for his three private planes, and an adjoining picnic grove which accommodates 3,000 at a time, The recreation area, which is used by the employees includes a dance platform, modern restrooms, outdoor grills, water fountains, children’s playground, target range, and refrigeration units and serving kitchen in the airplane hangar. “Thru the woods, Mall has built four miles of gravel roads, More than 40,000 evergreen trees have been planted in a carefully planned landscaping scheme. At least 60,000 more trees, including walnut, butternut, chestnut, blue spruce, and Douglas fir, will be planted within the next few years. “With his employees in mind, Mall is building big plans for the future. He expects to stock the woods with game and the lakes with fish to provide sporting opportunities for those on his payroll. “The Plan also includes building a hunting lodge and the development of an arboretum. Eventually the area may be opened to the public. “Mall, a gentle, jovial man who seems happiest when he is tramping thru the woods or looking over herds of fine cattle, was born in Hammond, Ind., and learned farm life first hand in Rolfe, Ia. He started to manufacture power tools in a small wooden building in Milwaukee in 1921, turning out the implements himself with only a small circle of workers.” They were acquired by Remington Arms Corp. in 1956, and renamed the Remington Power Tool Division. 1969, some entrepreneurs purchased the Power Tool Division and named the company DESA Industries. They were acquired by AMCA (Master Consolidated) in 1975." DESA was formed in 1969 by Robert H. Elman, three other individuals, and a Venture Capital Group for the purpose of acquiring the Remington Arms' chainsaw and powdered actuated tool business located in Chicago, Illinois. In 1975, AMCA International, LTD. acquired DESA. AMCA acquired the Koehring Corporation in 1981, which included a Portable Outdoor Kerosene Forced Air Heater Operation located in Bowling Green, Kentucky. In 1982, DESA's electric chainsaw and powder actuated tool line was moved from Chicago to Bowling Green, Kentucky and merged with the Forced Air Heater business forming the Consumer Products Division. The division entered into the indoor room heating market in 1982 with the importation of Infrared Plaque Heaters from England for the liquid propane distributor and natural gas utility channels of distribution. To expand in the outdoor market, the company introduced Portable Outdoor Propane Forced Air Heaters in 1983.In 1985, a management group led by Mr. Elman purchased the assets and business activities of AMCA's Consumer Products Division with AMCA. In 1989, DESA Company made its first product line acquisition by purchasing the assets of the Swingline Hardware Products segment of American Brands. The Swingline Products acquisition included Manual and Electric staples/nail guns, Rivet Tools, Glue Guns, and Accessories. 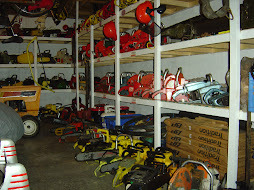 A facility in Manchester, Tennessee was established in 1989 for the production and distribution of Electric Chainsaws, Powder Actuated Tools, and Swingline Products.The next acquisition occurred in 1990 when DESA purchased Jennen B.V., a Dutch Distributor located in Rotterdam, Holland, (subsequently renamed DESA Europe B.V.). This gave the company a base of operation in central Europe. Two additional product line acquisitions were completed in 1991. The company acquired the Vented Heater Product Line from Suburban Manufacturing Company in Dayton, Tennessee in order to offer its customers a complete line of vent-free and vented indoor room heaters. Generators were added to the Specialty Tool product line with the purchase of assets from Pincor Power Corporation. DESA entered the Hearth Products market in 1992 with the introduction of realistic heater efficient vent-free gas logs with operate with the fireplace damper closed. The 1998 purchase of Heath/Zenith, solidified DESA’s position in the specialty electrical market. Desa international filed bankruptcy in December 2008 and is no longer in business. DesaTech.com is an information site for products manufactured by Desa prior to 2009. Their site has owner’s manuals and tech tips that were written by Desa prior to their bankruptcy. You can also find links to purchase parts for Desa products, as well as links to other manufacturers of heating products similar to those previously offered by Desa. Products that were manufactured by Desa should only be serviced by qualified technicians. http://www.desatech.com/ note : • Address (1950 Popular Mechanics): 7805 South Chicago Ave, Chicago 19, Illinois. • The following history is taken from a no-longer-available history page at the DESA Industries web site. 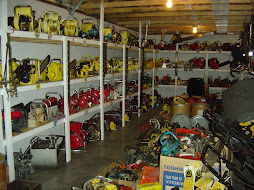 "Mall Tool Co. was founded in the 1920s and specialized in gasoline and electrically powered hand tools. They were acquired by Remington Arms Corp. in 1956, and renamed the Remington Power Tool Division. 1969, some entrepreneurs purchased the Power Tool Division and named the company DESA Industries. They were acquired by AMCA (Master Consolidated) in 1975." The History of the Bolens chain saw line begins in 1953 with the introduction of the 3300 series, which was made for Bolens by Clinton. It is a modified version of the Clinton's own model:3A chain saw. 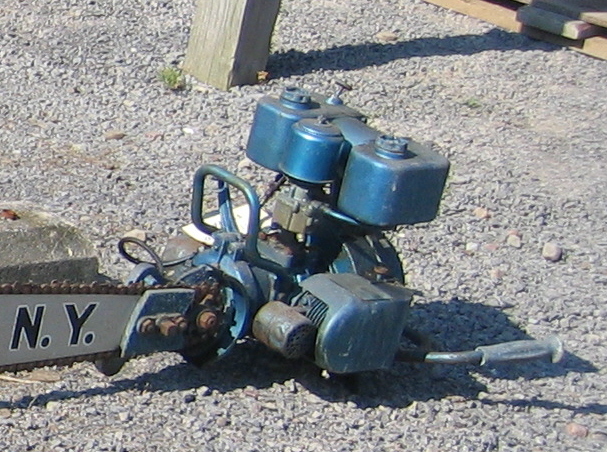 The Bolens 3300 series of chain saws all used the same engine with different bars, they offered the following models or sizes. These Bolens chain saws were offered from 1953 thru 1955 and likely into 1956 Their beautiful green and yellow paint scheme make them a stand out, even to this day. In 1956 the Bolens parent company FMC (Food Machinery Corporation) purchased the Fleetwood chain saw brand from Baystate Equipment Company. FMC then began to produce their own Bolens chain saw line (no more rebadged Clintons) along with their new Fleetwood line, both brands offered identical saws just different paint. Draper Industries a major producer of many popular brands of replacement bars and chains, purchased the struggling Titan Chain Saw Company in 1957. Draper's only interest was to add Titan's famous Blue Jet Line of bars and chains to their present stable of replacement part producers. Draper immediately sold off the Titan chain saw line to FMC. The purchase of the Titan brand was unexpected back when FMC had purchased Fleetwood, and the Fleetwood brand was now somewhat of a handicap for FMC. They soon phased the Fleetwood chain saw brand out of the FMC family. As the chain saw industry became a fast paced race of engineering and salesmanship, FMC found their chain saw divisions a drain on their more successful ventures. FMC discontinued both the Bolens and Titan lines of chain saw after 1962. Enjoy the history behind the saw........ Tom Hawkins. Brochures Founded in 1850, Bolens has grown to become the most respected name in outdoor power equipment. Milestones in the Bolens heritage include the introduction, in 1919, of the first power-driven garden tractor. Seven thousand of these early machines were sold to enthusiastic customers, and Bolens outdoor power equipment was on its way to becoming famous. Immediately following World War II Bolens was acquired by FMC Corporation and specialization continued in production of outdoor equipment. 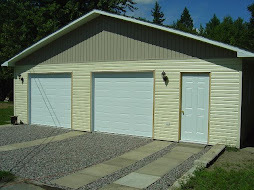 A progressive engineering program was begun and new designs met growing new demands as Americans in increasing numbers discovered Bolens power equipment as a means of reducing the time and effort required for yard care. In 1947, Bolens introduced the first compact tractor. The Husky 600 made its appearance in 1961 and set a new standard for all compact tractors. Bolens again startled the industry in 1963 with introduction of the Estate Keeper; a unique and years-ahead concept in compact tractors. Each product bearing the Bolens trademark is backed by this 150 year heritage, and by the extensive research and development facilities of FMC Corporation. Today, as in the past, the name Bolens stands for proved dependability, advanced design and the highest standard of quality. Bow saw were very popular throughout the north east and the deep south. 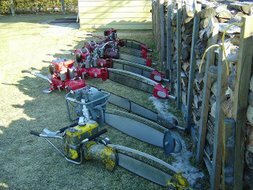 We started collecting chain saws almost thirty years ago, when our collection began with two old Mall bow saws. They were my dad's,and both he and my uncle used them to cut pulpwood on the family farm. 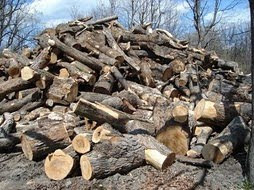 When cash money was tight, they could always make buck by selling pulpwood to the local paper mill. It's because I still remember these saws being used regularly, that bow chain saws are one of our passions in this hobby, and the main focus of our collection. The history of the power bow saw is a very interesting story, here's what we have on the subject. The begining's of the modern day bow type chain saw can be directly traced back to the the orginal intended use of such a saw, back when it was first invented. The first bow shaped chain saw, appears to be the 1916 Swedish made Sector. But it and several other bow shaped saws that followed, were just that, bow shaped, but not a bow saw. The bow saw as we refer to it here, was intended mainly for the purpose of a repetitive bucking situation. The term "bucking" is the process of cutting a log into sections, short or long pieces. Bow saws were designed mostly for the harvesting of pulpwood, used for the making of paper, usually cut into 4ft. lengths. The paper industry was huge and required large amounts of wood to make paper pulp. Paper mills provided many a woodsman the opportunity to earn a living by cutting pulpwood. The bow type chain saws have a bar that will not bind or pinch in the cut (kerf), it's a saw that was purposely designed to be pinchless. Those early bow "shaped" chain saws such as the Sector were never designed or intended for this purpose, and therefore are not true bow saws, in our opinion.